When you buy a new smartphone, the first two things that you think of are always the same: you need a case, and you need a charger. Without the former, your phone can easily break, and without the latter, you can’t use your phone for very long at all. Thus, it seems like commonsense that these two things be combined. 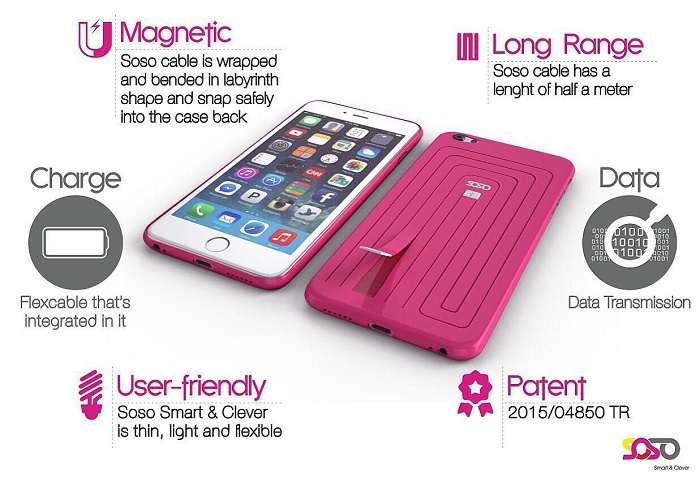 As useful as a phone case is, it would be even more useful if it could simultaneously protect your phone and store the all-important charger. With the Soso, that is exactly what our team has created.